Moapa Valley’s girls basketball team had only about 30 minutes to completely switch its defense. After winning a Class 3A Southern Region semifinal Saturday, the Pirates couldn’t practice Sunday and had only a short walk-through before facing Boulder City on Monday. Talk about a quick study. The Pirates (20-9) played mostly a zone defense in their win over Pahrump Valley on Saturday, and because state rules prohibit Sunday practices, Moapa Valley had little time to work through the defensive change. Still, the Pirates forced 14 turnovers in the first three quarters and turned those into 12 points. They limited Boulder City 6-foot center Ellie Howard to just seven shots and still managed to disrupt the Eagles’ perimeter shooters. Anderson was fantastic on both ends of the floor, scoring 16 of her 22 points in the second half and grabbing eight rebounds. Her drive to the basket with 2:30 left in the fourth quarter halted a 5-0 Boulder City run and upped the Pirates’ lead to 42-37. Lainey Cornwall’s driving hoop 40 seconds later had the Pirates starting to celebrate. Cornwall finished with 13 points. 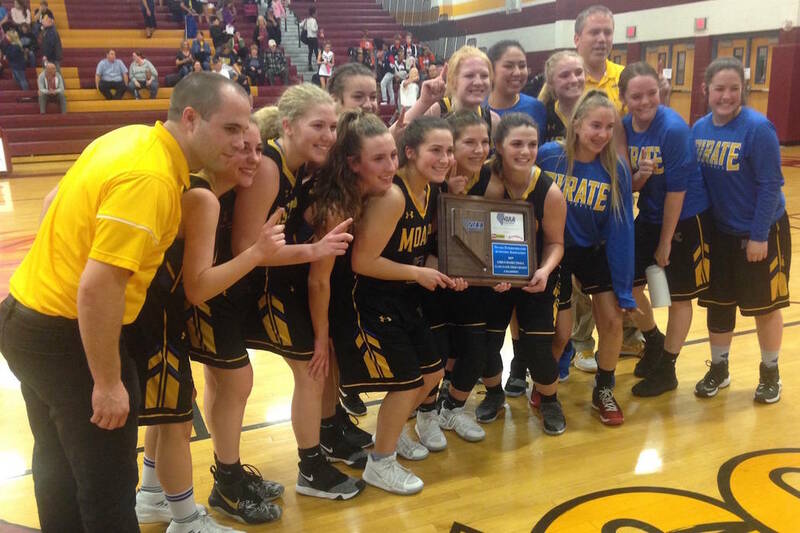 Moapa Valley will face Lowry (17-10) in the state semifinals at 2:30 p.m. Friday. Madison Manns led Boulder City with 11 points. Keely Alexander had nine points for the Eagles (21-8), who will meet Northern Region champion Churchill County (24-2) in the semifinals at 11 a.m. Friday.